The What: LynTec has launched its new Whole Venue Control offering. Whole Venue Control gives customers the option to mix and match LynTec's RPC Remote Control Breaker Panels, RPCR Automated Relay Panels, and new NPAC Multi-Circuit Rackmount units within the same network on a single interface. The What Else: LynTec's Whole Venue Control capabilities allow system designers to create a completely tailored AVL power control system. 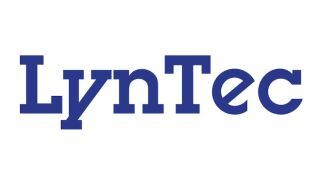 They can mix and match LynTec's line of electrical power control solutions to address the unique infrastructure requirements across a broad range of applications. "Previously, each LynTec controller interface could only display one panel type and customers could not have control zones that extended across multiple panel types," said Mark Bishop, president of LynTec "After listening to our customers, we worked with our engineers to give them more flexibility. Now, with Whole Venue Control, we've made it possible to extend zones across motorized circuit breakers and relays within the same network. This means that our customers can now put the right panel in the right place to leverage the unique LynTec feature set that they know and love across an entire venue."